The Kalamazoo Bee Club sells honey from the Club Apiary. 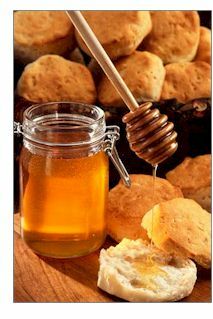 We offer honey for sale at Club events. All proceeds go to help support the programming and the mission of the Club. Abbott Farms (Otsego, MI) – Honey, beeswax lip balm, goats milk and honey soaps and lotions, honey shampoo. Phone 269-692-2328 Email: scabbott@sbcglobal.net.